Matt and I received a pair of SmartTech Gloves by iGotTech for the purpose of a product review. The gloves are made with 87% acrylic, 5% conductive fiber, 8% spandex, and 5% elastic. The gray three-finger (thumb, index, and middle) tips have conductive thread so that you can tap icons and text on a smartphone or tablet. The knit gloves are comfortable and lightweight. The densely knitted gloves stretch to fit snugly on your hands and wrists. Keeping cold air off your hands won’t be a problem. The gloves would work best for light activity. They don’t have extra grip material, so you would need to be careful with a slick phone or tablet. 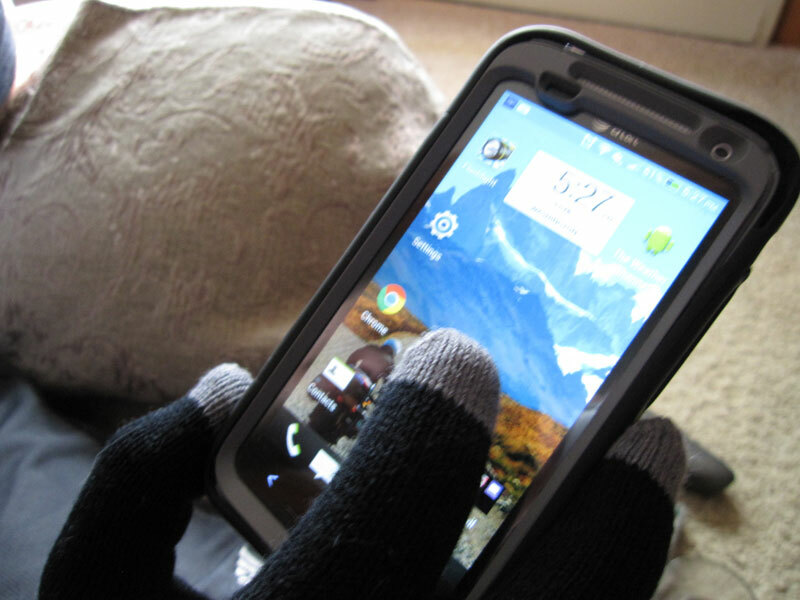 Matt has a protective case on his phone, so the gloves had enough grip just from the knit material. They would coordinate with any outfit because they are black and gray. There is a small tag with the brand on the wrist. Although I saw that several reviews mentioned these would fit small hands, my fingertips stopped just short of the gray tips. For this reason, I found it difficult to use the gloves for texting. The gloves fit Matt’s hands, so he was able to test them with his smartphone. He had no problem with the level of resistance and he was able to successfully scroll through website articles, text, and tap on icons. Learn more about texting gloves on Amazon or visit them on their website. I received a product in exchange for a review. Only my honest opinions have been expressed.